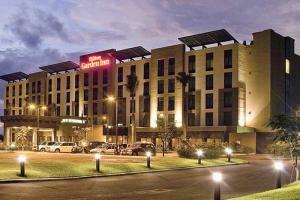 Hilton Garden Inn Liberia Airport is a great place to start and finish your Costa Rica vacation. Located in the province of Guanacaste across from Liberia Airport, the hotel is close to many top tourist attractions. Unwind in a spacious guest room or suite and enjoy comfortable and smart amenities during your stay.